Do you need to keep up with employment law in multiple countries? Does global resourcing and mobility fall into your job responsibilities? The trend towards globalisation means that HR professionals are increasingly becoming responsible for HR activities across several countries. XpertHR International makes it easy for employers with staff based overseas to comply with employment law in those countries. It enables you to anticipate which challenges you are likely to face when dealing with new territories and provides tools to create a strategy for international assignments and global expansion. XpertHR International provides guidance at a national level across the entire employment lifecycle. Each country guide contains key information on issues ranging from recruitment and contracts of employment to industrial relations and termination of employment. 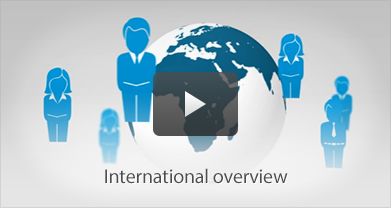 Understand the key employment rights in the countries where your organisation operates. Appreciate how the law is enforced and the penalties for breaching it in different countries. Understand the role of collective rights and bargaining in your chosen countries. Each country guide is kept under review and updated in line with developments, ensuring that employers are kept up to date with their employment law obligations in the countries in which they operate. Subscribers are alerted to the latest international developments via customised email alerts. XpertHR International covers countries in North and South America, Europe, Asia and Africa, as well as Australia. To support employers establishing a global presence, XpertHR has created the Guide for global employers. It provides an overview of the main issues facing employers with staff in more than one country, including whether or not to harmonise employee rights across their global workforce. Download the Guide for global employers: Employee rights section for free, to see how this valuable resource can enhance a core subscription.